Modest Mouse is encouraging its fans to venture into the weird world of words. 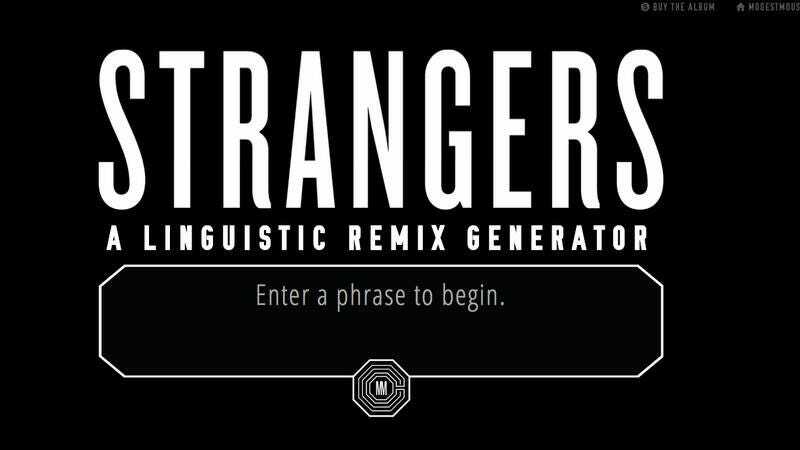 The band has released a new “linguistic remix generator” that takes user-generated phrases and turns them into looped remixes of the band’s new tracks based on letter frequency data, algorithms, and something that supposedly figures out the sentiment of the phrase. It’s (obviously) pretty weird, but is kind of neat to play around with for a little bit. Modest Mouse’s new record, Strangers To Ourselves, is out now.